Randy Schafer, 69, rural Haxtun, died Thursday afternoon, March 14, 2019, at Melissa Memorial Hospital in Holyoke. He was born July 18, 1949, at the Wray Community Hospital, to Max and Beverly Fix Schafer of Idalia. 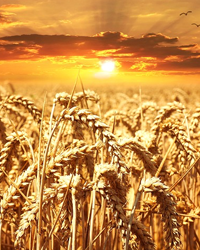 Because Max was harvesting wheat for a farmer north of Eckley, Beverly and Randy went home with Maxine Schafer, Max’s aunt, for a short time. Soon the new family moved to the Pleasant Valley community northeast of Yuma in Yuma County, where Randy grew up. Randy attended grades one through four at Pleasant Valley’s one-room school and moved to Red Willow School for grades five and six. He rode the bus to Yuma for junior high at Yuma West School, followed by four years at Yuma High School, where he graduated with the Class of 1967. He received a BA in English from the University of Colorado in Boulder in 1971 and a Master’s in Urban and Regional Planning and Community Development from CU/Denver Center in 1973. When he was in high school, he served as Sunday School superintendent at Pleasant Valley EUB Church (later Pleasant Valley Methodist Church), where he came to trust Jesus as Lord. He belonged to Pleasant Valley Hustlers 4-H Club. In 1968, as a delegate from Yuma County to 4-H Citizenship Shortcourse (now Washington Focus) in Washington, D.C., he met his future wife, Joy Siedenburg, a delegate from Carroll County, Ill. He and Joy were married on Aug. 29, 1970, at Woodland United Brethren Church near Mt. Carroll, Ill. In August of 1974, when Randy accepted twin positions with Phillips and Sedgwick counties as a land-use planner to implement Colorado’s newly enacted House Bill 1041, Randy and Joy moved to Holyoke. In 1976, he continued the half-time position with Phillips County and joined Harmon Engineering Services half-time to do surveying and drafting. When his boss, Lou Harmon, bought a computer, Randy wondered aloud about the computer being his replacement. Joy assured him that Lou would be expecting even more output from him. Also in 1976, Randy and Joy bought a small acreage north of Paoli in the Fairfield community where they raised their children and joined the Fairfield Evangelical Covenant Church. The church and community nurtured them spiritually, and they grew in faith and dependence on the grace of God. With the move to the country, Randy began raising purebred Duroc hogs, an activity that included some national shows and several local boar and gilt auctions for Golden Plains Durocs. The hog operation continued until Joy convinced Randy that he got to go to the office every day in clean clothes while she headed out to the farrowing barn each day in grungy clothes, all to fulfill his dream. 1983, Randy was named county administrator for Phillips County. He continued a part-time association with Harmon Engineering until he went full-time with the county in 1989. 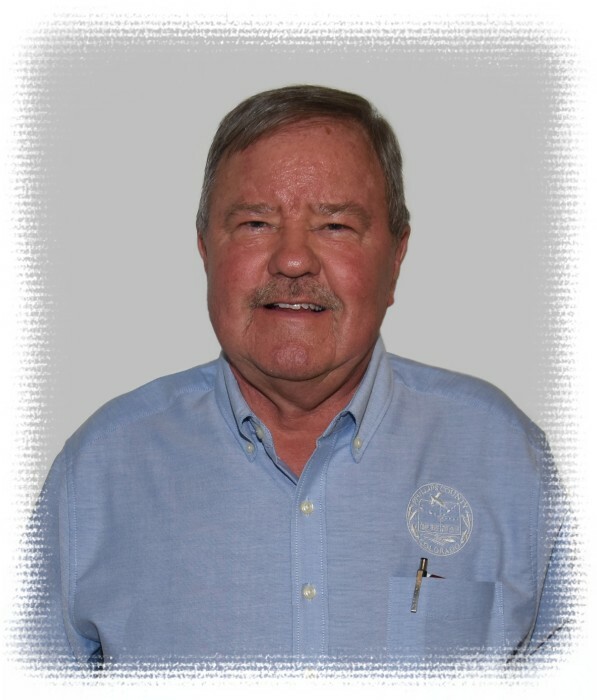 During his time with Phillips County, Randy saw many dreams fulfilled, including the funding and building of the Phillips County Event Center at the fairgrounds in 2009, the water feature at Homesteaders’ Park, and the soon-to-be finished Pavilion and Education Center at the fairgrounds. Other challenges in his career included working through the local 911 setup to provide equipment for the Phillips County CommCenter; implementing different methods of trash disposal for the county landfill following mandated changes; walking through the process of permitting D&D Farms, a corporate hog farm, in several locations in the county; making an addition to the courthouse to add an elevator and office space; helping with two remodels of the CommCenter; purchasing Jack’s Bean office space to remodel for the Phillips County Resource Center; facilitating the grant and building process of the handicapped-accessible playground, bike path, soccer field, and rock wall at Homesteaders’ Park; replacing 11 bridges in the county through grant-funding; transitioning three road and bridge districts into one; and setting up the Recreation District to supply funding to Region One Translator Association to enhance antenna TV for rural residents of Northeast Colorado. For the Town of Paoli, he secured grants for a tennis court, a bathroom/kitchen addition to the original Paoli Town Hall, water and sewer systems, and the new Paoli Town Hall, which was completed in 2016. Randy was a founding member of the Phillips County Economic Development Committee. He served on the County Health Pool (CHP) for 20-plus years after helping to establish the pool under Colorado Counties, Inc., along with local County Commissioner Leland Miller. He also served for many years on the County Technical Services, Inc. (CTSI) board, combining workers’ comp, disability, and health insurance. In 2000, Randy was nominated by his county commissioners and named as Colorado Administrator of the Year. He was honored with the award again in 2017. He loved working behind the scenes for his commissioner bosses and asked God daily for a servant’s heart to do the county’s work well and fairly. In 2014, as an alternative to the movement for rural counties to secede from the State of Colorado, he and Phillips County Commissioner Joe Kinnie created a ballot initiative to change the Colorado House to one representative from each county, mimicking the United States Senate, which is based on state representation regardless of population. The petition, which had huge bipartisan support in rural Colorado, lacked the money, time, and signatures to get on the ballot. Daughter Naomi joined the family through adoption in 1983 when she was just short of 3 years of age. Son Joshua joined the family as an infant in 1986. Randy had the honor of doing the wedding service when Josh married Brechen Currier in 2012. Randy loved his children and daily prayed for God’s best for each of them. Naomi and Josh as well as foster children Christy and Rocky—and their loved ones—were Randy’s heart and soul. Randy’s lifelong asthma and multiple lung issues led to a bilateral lung transplant in November of 2009 at UCHealth in Denver that resulted in a renewed gift of life for him for the next 9 1/2 years. He was a member of First Baptist Church, Holyoke, where he served for some years as a deacon and last year as AWANA commander. He is preceded in death by his parents Max and Bev Schafer, Eckley, and in-laws Loyal and Mildred Siedenburg, Mt. Carroll, Ill., and grand-nephew James Siedenburg, Mahomet, Ill. Survivors include his wife, Joy Schafer, Haxtun; daughter Naomi Schafer and boyfriend Travis Vick, Sterling, son Josh Schafer and wife Brechen, Brighton; granddaughter Camber Schafer, Brighton; brother Hal Schafer and wife Vicki, Maple Falls, Wash.; sisters-in-law Delight Howes and husband Dave, Wabash, Ind., and Merry Epperly and husband Roger, Unionville, Mo. ; brothers-in-law Robert Siedenburg and wife Mary, Champaign, Ill., and Richard Siedenburg and wife Cathy, Mt. Carroll, Ill.; aunt Cleora Fix, Wray; uncle Kent Schafer, Pagosa Springs; and many nieces, nephews, and cousins. Visitation was set for Wednesday night, March 20, at the Baucke Funeral Home in Holyoke with a celebration of life at the Phillips County Event Center at 11 a.m. Thursday, March 21, with Pastor Jeremiah Krieger and Pastor Gordon Penfold officiating. A private burial was set for Thursday morning at Fairfield cemetery. Baucke Funeral Home was in charge of arrangements. In lieu of flowers, the family suggests a charitable donation in Randy’s honor toward the completion of the Phillips County Pavilion and Education Center.